We produce and market specialized events, conferences, workshops, retreats & trainings focused on topics that equip individuals and enhance community capacity in rural areas. Thriving rural areas filled with empowered and engaged youth and adult leaders applying their unique expertise, talents, knowledge and passions to their organizations, businesses and community. 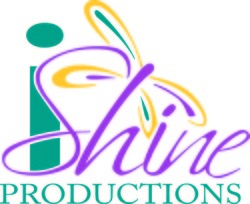 Using an asset-based community development process, iShine Productions® advances community and social capacity by inspiring, equipping and connecting individuals through customized leadership, entrepreneurship, business and board development trainings, programs and events, ensuring rural areas thrive. Through our programs and services, we strive to connect, inspire and engage individuals to make a difference and impact their lives and their rural areas. In general, we provide basic to comprehensive assessments, consulting, facilitation and program development services assisting rural Community Leadership with diliberately creating Development, Retention & Attractions Programs that effectively and proactively build a better workforce for their employers and community, today and for the future! Initial assessment of current efforts - youth programs and school-led, employer-led, community-led, workforce resources, etc. Meeting Facilitation to help communities host initial group meetings to Town Hall meetings to specialty trainings, events, including competitions. Advising and program development services around effective mentorships, apprenticeships, internships. Talent retention and attraction branding, marketing and messaging campaign development.